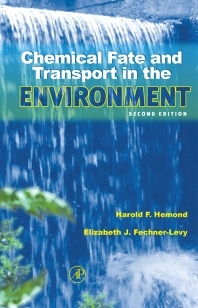 emphasizes intuitively based mathematical models for chemical transport and transformations in the environment, and serves both as a textbook for senior undergraduate and graduate courses in environmental science and engineering, and as a standard reference for environmental practitioners. Harry Hemond is William E. Leonhard Professor of Civil and Environmental Engineering at the Massachusetts Institute of Technology. He has authored numerous scientific papers on biogeochemistry and related environmental topics. A registered professional engineer, Professor Hemond has also consulted with governmental agencies and industry. He is a winner of MIT's Irwin Sizer Award for his course "Chemicals in the Environment: Fate and Transport," and also holds a Graduate Student Council teaching award. Elizabeth Fechner-Levy is an Associate at Abt Associates Inc., where she does environmental consulting, predominantly for the U.S. Environmental Protection Agency.